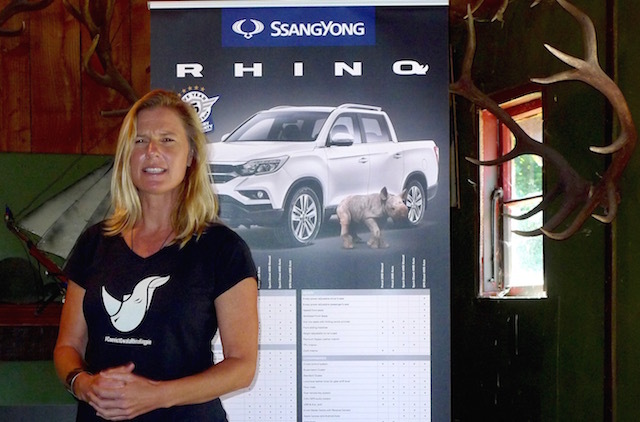 ‘Saving the Wild’ campaigner and Ssangyong ambassador Jamie Joseph was watching a South African veterinarin treat the wounds of a female black rhino, shot in the foot by poachers in Kruger National Park. “I noticed the vet applying medical-grade Manuka honey to the wound and later found out they are desparate for more honey,” she said. Zimbabwe-born Joseph returned to her home in Tauranga and began knocking on honey industries’ doors. So far, no luck. 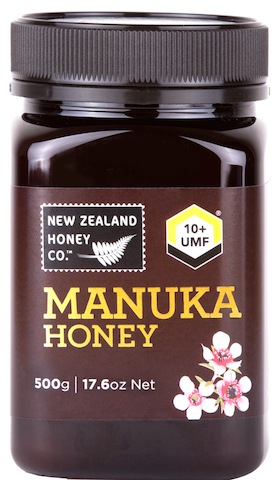 “One company said they could give me grade ten plus (10+) UMF (Unique Manuka Factor) honey. I was so excited – until they said it would cost me $6000. I don’t have that sort of money,” Joseph said. Honey has been used as an anti-bacterial agent on wounds for centuries. But it’s only in the past decade or so that the special healing properties of New Zealand’s UMF honey have been recognised internationally. UMF honey is graded from 5+ to upwards of 20+, shown by labels on the product. “Ideally, we need ten plus to treat the wounded animals,” said Joseph. A typical example of a rhino needing treatment is an orphan baby. “The babies are often brutally attacked with knives/pangas by the poachers when they try to protect their mother,” said Joseph. “Poachers won’t waste a bullet on a baby rhino because there is no horn. If the baby runs away then they are sometimes attacked by lions and hyenas. “After all of that, sometimes we are able to find them and save them. And then the two- to three-year healing plan begins where they are raised by human mothers until they are old enough to be released back into the wild. 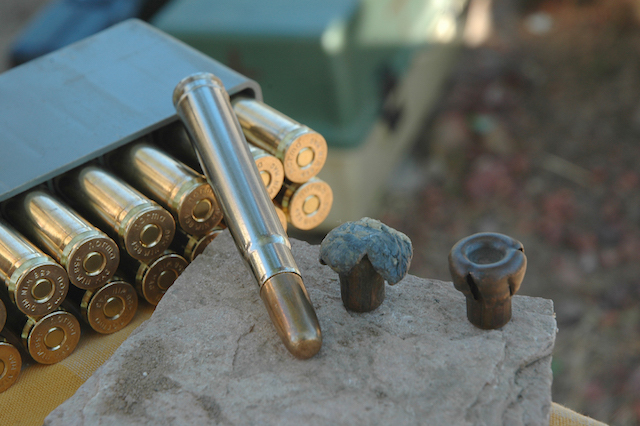 Poachers mostly shoot adult rhinos with .375-calibre ammunition (above), a roughly 10cm-long cartridge regarded as the standard for Africa’s big game. The penetrative power of a .375 calibre is devastating. A 700kg Cape Buffalo was shot between the eyes – the bullet traveled through the animal’s bone and muscle and lodged in its hip, almost 3.4m from the entry point. Poachers kill the rhinos for their horns, worth more than diamonds and cocaine on the black market in China, where it is used as make-believe medicine. But rhino horn is nothing but keratin, the stuff in your fingernails. Joseph and her team pursue through South Africa’s courts the corrupt bigwigs in the rhino horn trade. There are many judicial stumbling blocks – the moneyed bigwigs have already corrupted wildlife officials, the police, lawyers, judges. In October 2017 Joseph (above) exposed the ‘Blood Rhino Blacklist’, a syndicate of corrupt magistrates and prosecutors protecting not only rhino poachers and kingpins but murders and rapists too. “We must hold the line in Africa until the demand (for rhino horn) is stopped in China, so that when the demand is stopped, there are still wild rhinos roaming free,” Joseph said. 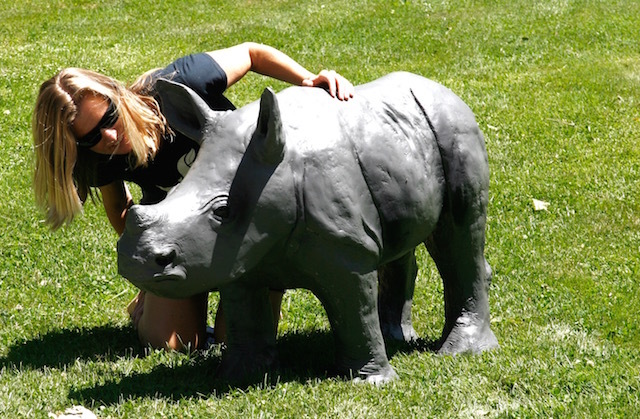 There are an estimated 2500 black rhinos and around 20,00 white rhinos left in the wild. Joseph’s ‘Saving the Wild’ charity is registered in New Zealand. Its supporters include world-renowned conservationist Dr Jane Goodall, and business magnate Sir Richard Branson. Former NZ Prime Minister backs it too. Joseph has been using a clapped-out hatchback in South Africa. 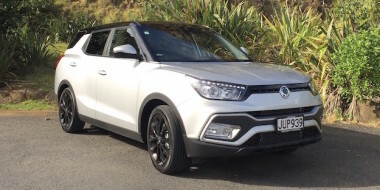 Now she has a double-cab four-wheel-drive Ssangyong Rhino ute, largely based on the Rexton SUV and sponsored by Taupo-based Great Lake Motor Distributors, run by former Taupo mayor Rick Cooper and his son Deon. Joseph’s ute is the top spec model, the SPR, priced at $43,490. It runs a 2.2-litre turbodiesel with Mercedes-Benz componentry and mated to a six-speed automatic transmission. The engine generates 133kW at 4000rpm and 420Nm between 1400-2800rpm. The six-speed manual option delivers a slightly less 400Nm. It will soon be shipped to South Africa, kitted out for Joseph’s needs. It already has ‘Saving the Wild’ signage; next are specially fitted cameras and a secure cover over the 1.3m rear deck. Spares like windscreen wipers are a must-have. The SPR shares its suspension set-up with the other 2WD petrol and 4WD diesel Rhino models, a double-wishbone arrangement up front and a five-link independent rear. Rhinos with a longer 1.61m deck – the 2WD due next month and the 4WD in July – will use the same wishbone front but a leaf-spring rear. The deck is the longest in the ute segment and the 1.3m/1.61m option gives Rhino buyers an unprecedented choice. Sitting below the SPR are the two 2.2-litre diesel Sport models, both 4WD and priced at $34,990 for the six-speed manual and $36,990 for the auto. The 2WD models kick off the Rhino range, both the manual and auto powered by a 2.0-litre four-cylinder petrol unit delivering 166kW at 5500rpm and 350Nm between 1500-4500rpm. The manual is $25,990 and the auto $29,990. The petrol engine gives ute buyers an unprecedented choice, too. 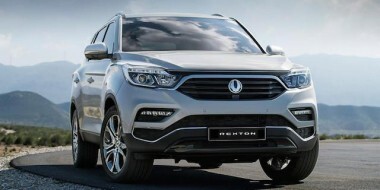 The Rhino replaces the Actyon ute in the Ssangyong line-up. The Actyon first landed here in 2006, replacing the 2002 Musso. Actyon Mk II arrived in 2012. So why wasn’t Rhino called the Actyon Mk III? 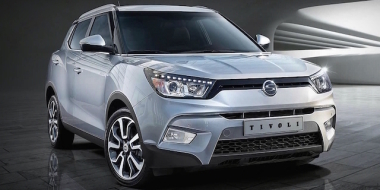 Because Ssangyong research found the name Rhino sounded better than Actyon. Further, Musso is actually Korean for Rhino. That and the fit with Joseph’s Saving the Wild charity. Another thing: the Rhino’s diesel engine generates 400/420Nm. A .375 calibre on impact with an endangered rhino generates 5800Nm of energy. Yep, 5800Nm. Alastair Sloane has been a newspaper journalist for more than 40 years. He was the motoring editor of the New Zealand Herald for 16 years from 1996 until 2012. He owns a 1968 VW Beetle. Best days at the wheel include doing part of the Land Rover Camel Trophy route in Papua New Guinea, driving a Nissan Patrol over earthquake-hit roads in Guatemala, and a Ferrari Italia on Enzo’s old hill-climb road in Italy.